The plumbing system in your home or office should operate behind the scenes, keeping water and waste water flowing freely in and out of your home or building seamlessly. Ideally, you should not even realize it’s there. When you do, it’s typically because there’s a problem. That’s when it’s time to take advantage of Star Cities Plumbing & Heating’s renowned plumbing services. 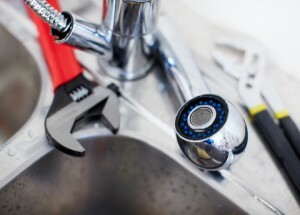 When you choose to work with us, you’re getting more than just regular plumbing services; you’re entrusting your home or office to a top-flight New York City plumber who’s seen just about every issue the city’s waterworks can muster. We take our responsibility as your trusted New York City plumber very seriously, and thus strive to not only offer fabulous work but exceptional customer service as well. At Star Cities Plumbing & Heating, we know full well your home or office’s plumbing system does not always respect regular business hours. That’s why we offer emergency plumber services, making your Star Cities New York City plumber available to you at a moment’s notice any time of the day or night. Don’t allow plumbing issues to keep you up at night…literally. Call in one of our emergency plumbers right away if the problem can’t wait. By providing the best routine and emergency plumbing services in Manhattan and Brooklyn, we at Star Cities have developed a reputation for providing customers with a quick response, competitive pricing, and an honest assessment of their plumbing needs. Feel free to call us at 800-547-1422 or contact us online any time of the day or night to schedule an appointment.